Customarily, when people consider innovation they often concentrate on the end product – i.e. the app, the software or the piece of hardware. However, they generally dismiss the steps beforehand that are essential in developing the aforementioned innovative artefact. In particular, policies can play a large part in the innovation process. In relation to this, there have been significant announcements regarding innovation policies of late. On Tuesday night, the 2016-17 Federal Budget was released, which notably proposed changes to lower the corporate tax rate – among a range of other measures. Essentially, many of the proposed measures reaffirm several elements of last year’s $1.1 billion innovation statement. Moreover, further moving forward on the innovation statement’s proposals, the Senate in Canberra on Wednesday confirmed two new tax incentives to encourage early-stage investment. The incentives – the Tax Incentive for Early Stage Investors and New Arrangements for Venture Capital Limited Partnerships – will now be in place for the 2016-17 financial year. The measures are ultimately a triumph for the Australian startup ecosystem and will aid in increasing the amount of capital available to Australian startups. 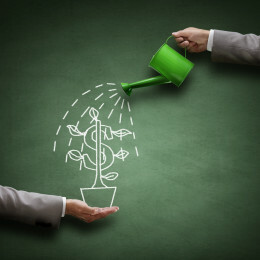 Firstly, the Tax Incentive for Early Stage Investors brings tax concessions to eligible early stage investors who invest in qualifying companies, including a capped 20% non-refundable tax offset and 10-year capital gains tax exemption for investments. These eligible companies will have to meet a set of criteria in order to be determined as “innovative”. Furthermore, they must be under three years old and have expenditure of $1 million or less with assessable income of less than $200,000 in the past income year. The tax cuts will also be available to non-sophisticated investors, but with an investment cap of $50,000 per year. Secondly, the New Arrangements for Venture Capital Limited Partnerships brings a host of changes directed at improving access to capital and making investing in venture capital easier and internationally competitive.In specific, the fund size for Early Stage Venture Capital Limited Partners will be increased from $100 million to $200 million, with the tax offsets back-dated for existing funds. Consequently, considering that over 4,500 startups are missing out on equity finance each year, these measures could significantly assist startups in gaining crucial funding. Furthermore, when deliberating other tax incentives available, such as the research and development (R&D) tax incentive, the enticement to innovate in Australia is escalating. To elaborate, the R&D tax incentive currently entails a 43.5% refundable tax offset to firms generating less than $20 million in annual revenue (such as start-ups) and a non-refundable 38.5% tax offset to other companies. 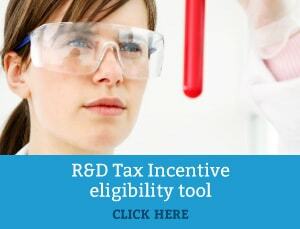 In fact, in its current form, Australia has a competitive R&D tax incentive program on a global scale, and has one of the best refundable R&D tax offsets and cash back schemes internationally. Ultimately, by fostering new enterprises and promoting entrepreneurship through funding mechanisms, the Australian economic landscape will likely observe a boost in innovative, high-growth potential start-up companies.